Exploring the borders between poem and song lyric, this course will appeal both to poets and songwriters. It also welcomes those new to writing and simply curious to test their talent in these areas. Through workshops and tutorials, we’ll look at what poetry and songwriting can learn from each other, including the influences of melody and rhythm. Turning poems into song lyrics and vice versa, we’ll show how words can behave differently on the page and when sung, and how this difference often dictates the language and stresses we might use in our writing. Whether you’re a poet seeking to refine the lyricism of your ‘voice’, or a songwriter keen to extend the range of your lyrics, here is an opportunity to break new ground and try out new approaches within a friendly, supportive atmosphere. And if you play an instrument, bring it along! 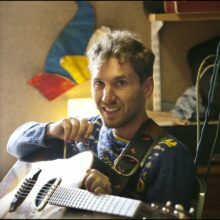 Brian Briggs is an ornithologist, and a singer-songwriter for Stornoway, an alternative indie folk band. He’s written three acclaimed albums and three EPs, and performed worldwide including appearances on Later…With Jools Holland and the main stages of the Glastonbury, Latitude and Isle of Wight festivals. Paul Henry came to poetry through songwriting, and has now authored ten poetry collections. Described by U.A. Fanthorpe as “a poet’s poet” who combines “a sense of the music of words with an endlessly inventive imagination”, he has read and performed his work at festivals in Europe, the USA and Asia. A popular creative writing tutor, his songs have been played on BBC Radio 2 and BBC Radio 6 and he has presented programmes for BBC Radio Wales, BBC Radio 3 and BBC Radio 4. 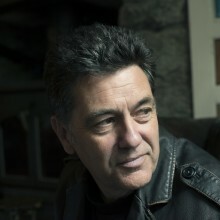 A performance version of his latest book, The Glass Aisle (Seren, 2018), including songs co-written with Brian Briggs, toured UK festivals in 2018.